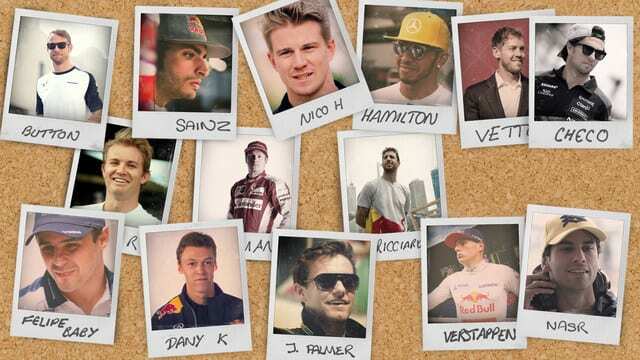 The 2016 driver line up is a familiar one, with few changes from last year's roster of names and faces. The brand new Haas F1 Team have allowed for two more drivers to make the step up (or back) to F1, with Esteban Gutiérrez returning to the sport after a year as Ferrari's test driver. He joins Romain Grosjean at the new team, with the Frenchman leaving behind Enstone for the first time in his F1 career. Jolyon Palmer moves up to partner Pastor Maldonado for the new season. Other partnerships continue to flourish, with Williams retaining Massa and Bottas for the third consecutive season, and McLaren keeping the faith with double-champion lineup Alonso and Button. Mercedes have contracts with both Rosberg and Hamilton, so we should be in for another season of tension and drama as the two fight for the best results possible. Manor have yet to confirm their driver lineup for the new season, as the team undergo a significant reshuffle with the departure of John Booth and Graeme Lowdon. It's hard to see those two race seats as a particularly enticing place to be, but with so few changes throughout the grid, a new driver has to snap up any chance to race in F1 that presents itself.